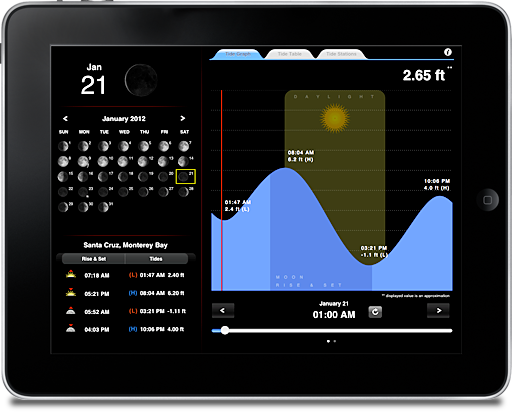 With TideTrac easily add multiple tide stations to your favorite list and quickly switch between them anytime. 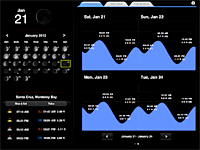 All tide stations added to the favorite list are available for offline use. 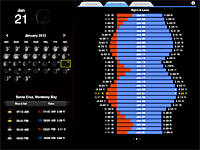 One of the best features of TideTrac. 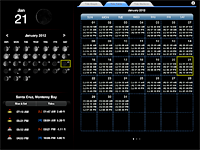 Beautiful interface makes it easy to navigate and view all important information on a single screen. 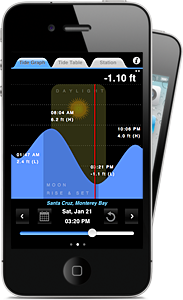 Includes thousands of tide stations in United States (coastal US stations only). 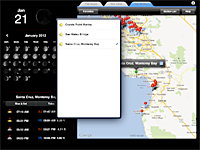 View all tide stations plotted on a map for easy browsing and selection. 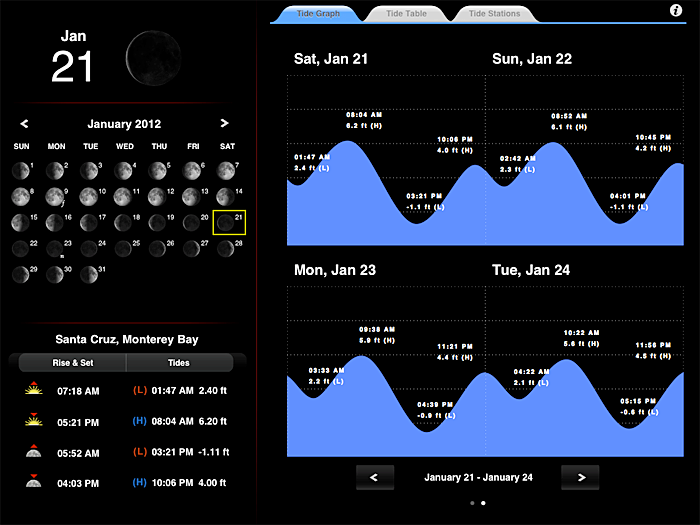 Add tide stations to 'favorites list' with one simple touch. 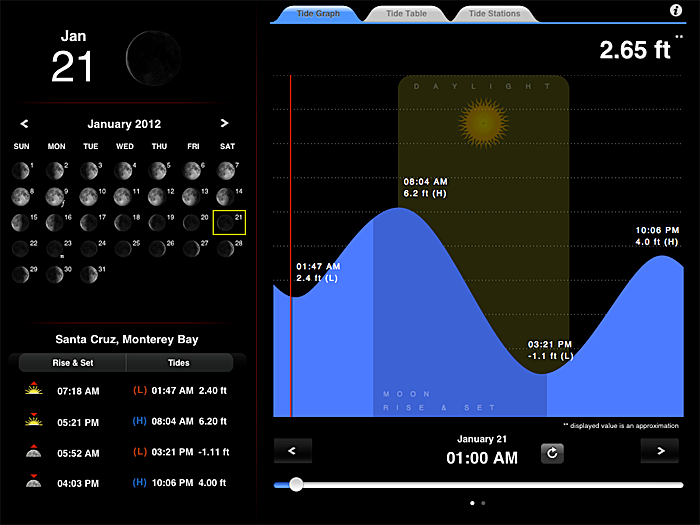 Offline viewing of tide events & tide graph enabled for all favorite stations. 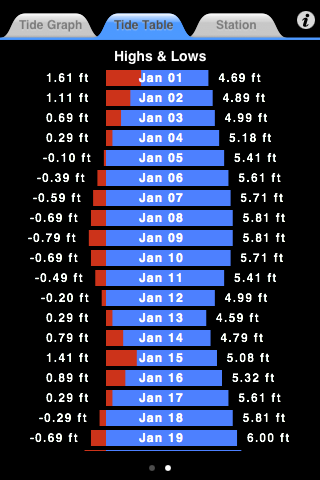 Lookup tide predictions until 2014 (more will be added as available). 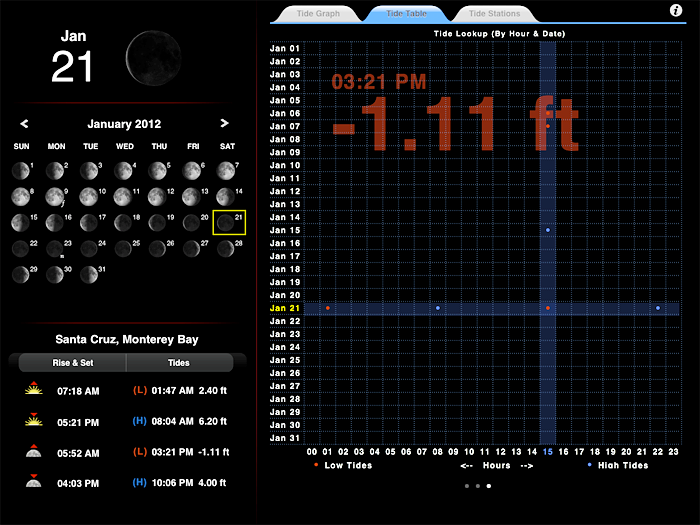 View high and low tides for the selected day. 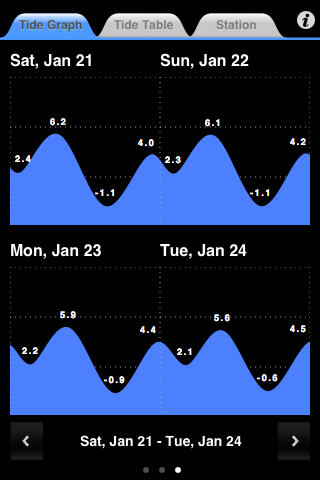 View tide data for a whole month. 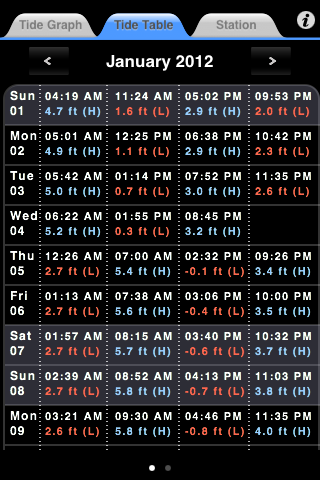 View highest tides of a month & lowest tides of a month. 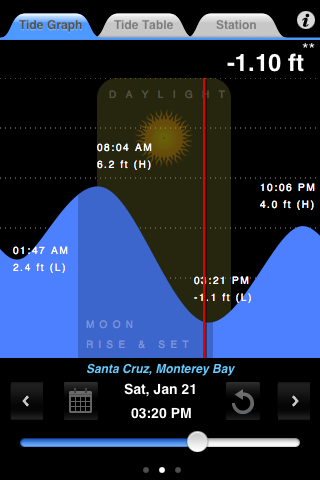 View tide graph and using a time slider find the tide level for any time. 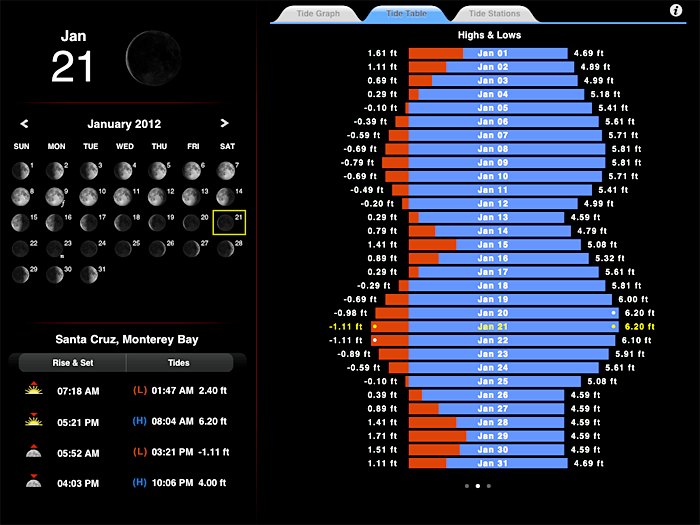 Quickly shift from month to month or move from day to day and watch the tide change. Requires internet connection only the first time a tide station is selected. 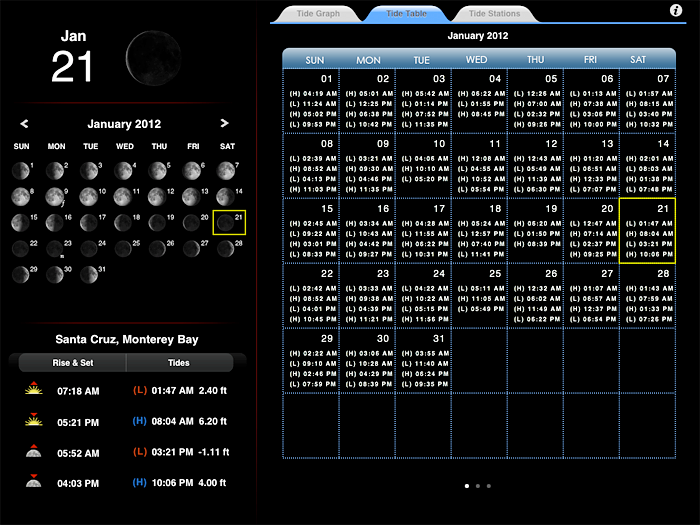 View Sunrise, Sunset, Moonrise and Moonset times. 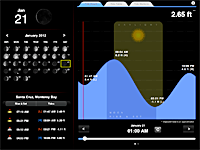 Accounts for daylight savings time and different timezones. 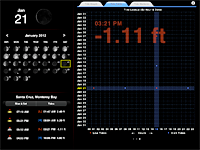 What is not included in TideTrac is information on currents and local weather. 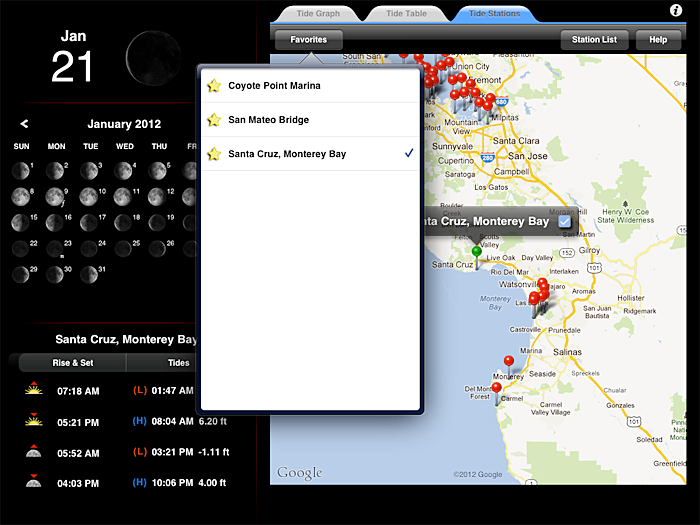 Before purchasing the app, please take a look at the list of supported tide stations from http://www.tidetrac.com/stations/.